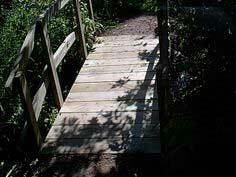 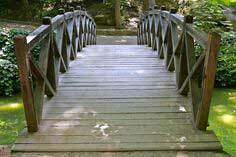 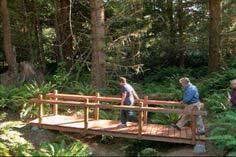 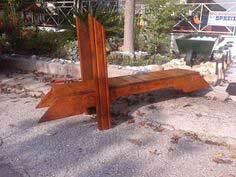 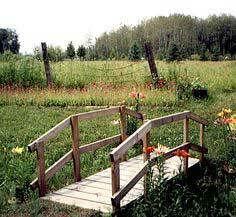 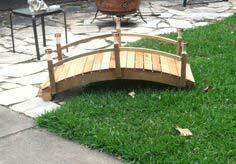 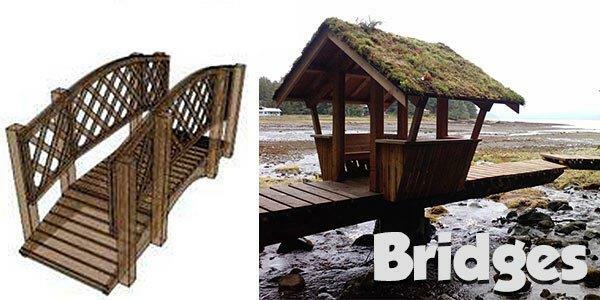 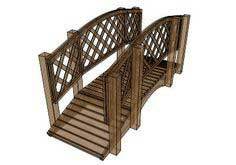 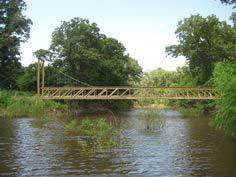 A bridge is a great focal point for a yard or garden. 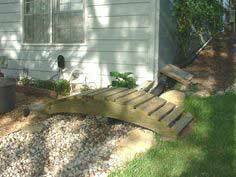 Using a style that complements your home's architectural theme, you can create an enchanting entrance to a garden or provide a safe walkway over a stream, pond or rough terrain. 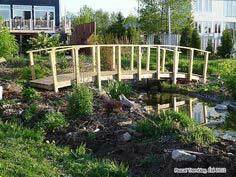 You can even build a covered bridge reminiscent of another era or a bridge with a pergola style covering to grow your favorite climbing vines and flowers. 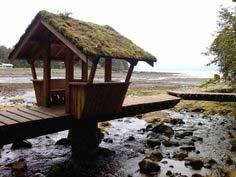 Suggested materials include natural logs, railroad ties, treated dimensional lumber, exterior grade plywood, reclaimed lumber and timbers. 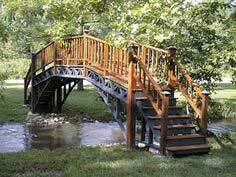 Whether you need a working bridge or just an ornamental addition to your garden, you'll find loads of bridge plans to fit any environment. 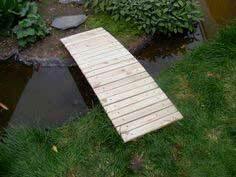 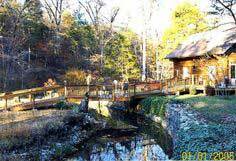 Bridges are used for dry swales as well as across water, and here is a collection of open and covered bridges to fit your needs.